Canopy climbers and forest campers across the world took part in the inaugural The Big Canopy Campout (TBCC) event in aid of forest conservation through World Land Trust (WLT) on 24 June. The event began as the winter sun set in Tasmania with two campouts stationed in the Tarkine Rainforest and on the side of Mt Wellington. The team in the Tarkine were from the Bob Brown Foundation, who have been camped in the Tarkine since February to prevent deforestation scheduled by Forestry Tasmania. Joining them as the day went on were campouts in an Oak Savanna, located outside Portland Oregon (USA), the Xishuangbanna Rainforest (China), Caledonian Pine Forest (Scotland) and even a campout in the Kinabatangan Rainforest Canopy in Borneo, close to the area TBCC and WLT are fundraising to protect. 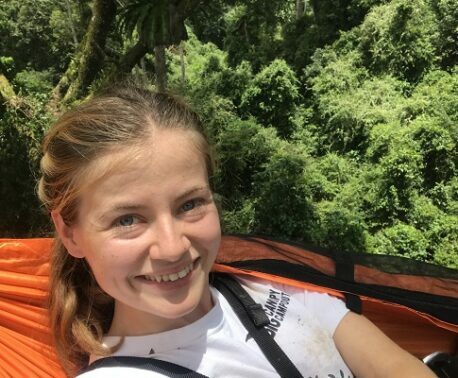 There were many campouts in the UK which were organised by individuals camping in or under trees in gardens or campsites, such as 14 year old George Earnshaw, who has already been involved with Saving Kinabatangan fundraising, inspired by his hero Steve Backshall. The campout events unfolded as the sun set around the world, with participants and supporters watching the campouts through live social media events and photos tagged with #thebigcanopycampout across Facebook, Instagram and Twitter. The team in Winterbrook Falls filmed a Facebook Live at 6.30am (3.30pm in Tasmania) to show TBCC followers around the world their canopy campout setup (about 30m high) and answer questions from their online audience. As many of the campouts were stationed far from internet coverage, more photos and videos from the campout events are being posted on The Big Canopy Campout Facebook page. 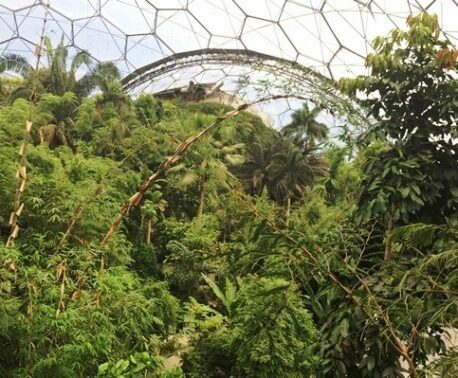 TBCC Founder Dr John Pike hosted several live videos which took viewers around The Eden Project, which hosted a remarkable campout with seven illuminated portaledges suspended from the dome over the Rainforest Biome. “The night of The Big Canopy Campout was spectacular on so many levels with climbers experiencing extremes of heat and height as well as ice, snow and gales to unite for forest conservation,” John told WLT. Dina Gallick, Enclosed Biomes Team Manager at The Eden Project, added “It was such a privilege for Eden to be involved in The Big Canopy Campout, as such an inspirational and uplifting event, linking so many people and organisations around the world with a common passion and wish to support WLT. The Big Canopy Campout was held to raise awareness of the threats facing forests all over the world and to raise funds for WLT to protect the critically endangered rainforest in Kinabatangan, Borneo. 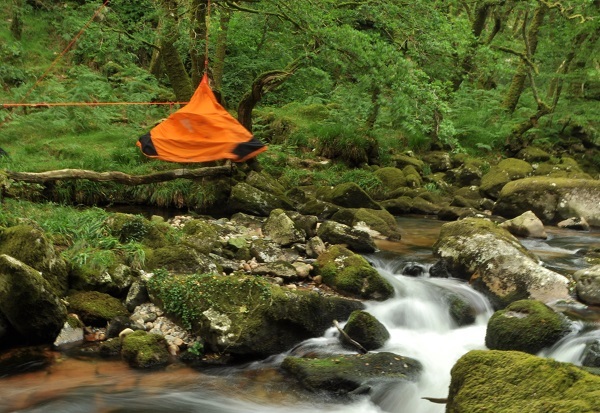 Teams camped from the canopy to the forest floor, from woodland campsites to back gardens, in conditions from the humid tropics to Australasia’s winter. You can sponsor The Big Canopy Campout to help WLT protect a piece of rainforest in Borneo’s Kinabatangan here, and save the date for next year’s campout event on August 25.